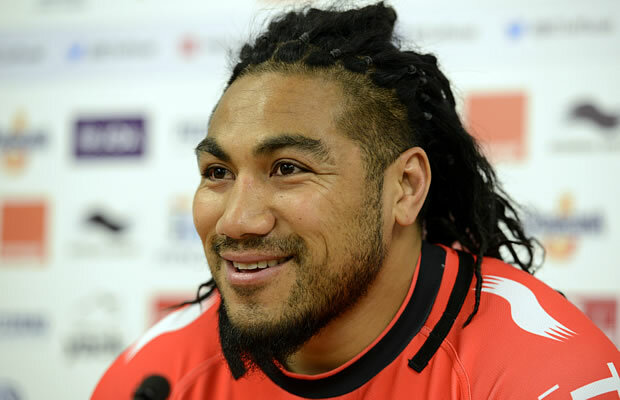 Bernard Laporte warned Toulon were expecting an explosive debut from World Cup-winner Ma’a Nonu in his first match for the Top 14 side against Agen on Saturday. The New Zealand centre lines up just over a week after his arrival at the three-time European champions and expectations are high in southern France. Manager Laporte said he had met Nonu for the first time this week and believed the veteran could act as a motor to power the team further ahead after last weekend’s 35-9 thumping of leaders Clermont. 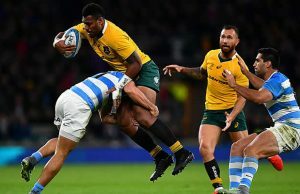 “Like (Matt) Giteau here or (Dan) Carter in Paris, we expect players like this (Nonu) to help pull everyone towards the top,” said former France coach Laporte. South African flanker Duane Vermeulen said he was expecting the 33-year-old All Black to find his feet soon. “He’s shy like New Zealanders are sometimes but little by little he’s opening up,” said Vermeulen. Nonu will link up with France centre Mathieu Bastareaud, also fresh from extending his contract for five years, in an explosive combination sure to intimidate their lowly rivals. Nonu’s arrival has shaken up the Toulon personnel with Maxime Mermoz rested for the first time this season. Clermont, meanwhile, will be looking to get back to winning ways in Sunday’s derby against Massif Central rivals Brive. Since 1927, the two cities separated by just 180km in the mountainous region of central France, have played 94 times with Clermont claiming most of those victories. This time Brive have reason to believe as they ride high just two points behind Clermont, and a win would see them reach the summit at their rival’s expense. Clermont captain Damien Chouly warned they would be using the derby to bounce back after last weekend’s reversal. “We slipped up, we know it. Next up Brive! It’s always a unique match for me because I trained and spend my early professional years there,” said Chouly. Montpellier, meanwhile, have recruited New Zealander Jamie McKintosh and Georgian Davit Kubriashvili as cover for CJ Van der Linde, Schalk Van der Merwe and Yvan Watremez. Both props could play for Montpellier, who sit sixth in the Top 14, for their trip to Castres, two places below them. Stade Francais will be looking to build on last week’s 21-19 away win over Grenoble to get their floundering season further back on track. 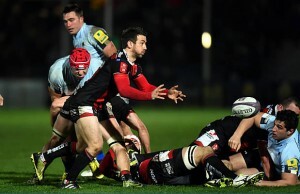 Reigning champions Stade are tenth after five losses in nine games and host midtable Bordeaux-Begles. Captain Sergio Parisse has committed to the club for next season. “I’m staying at home .. at Paris ! !” the 114 times capped Italian forward wrote on Twitter. Elsewhere Toulouse, beaten 28-13 by Racing 92 last weekend host struggling Oyonnax, while as in Friday’s early match Racing 92 take on Pau. Pau were thrashed 46-10 by Bordeaux last week and are third from bottom in the Top 14, just three points ahead of Agen and Oyonnax.